Goriest? Heartbreaking? Disturbing? "Mean"? Sad? Betrayed? Angry? After watching this episode, I don't know how to explain my feelings. Because of the numerous and various emotions that were all occurring at the same time, I'm just shocked. Frozen. Broken. Whatever. This has been one stressful episode. So while I'm typing this, I'm also discussing this with my Walking Dead buddy. We had a good debate on some points, which I will also share with you. This episode is all about "THE SYSTEM". Deanna's community has a system, and that is to leave people behind. But before I continue with "THE SYSTEM", how did you all feel about Rick and how his group is slowly taking over? You have Rick looking over the law and order of the community. Then you have Abraham leading the construction, because he became a hero and knew what he was doing out there. 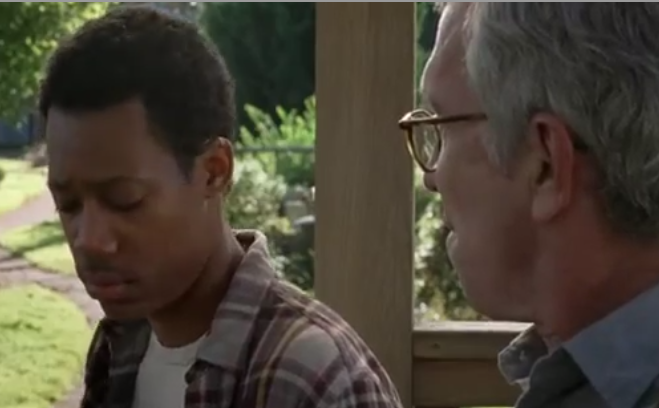 And then Glenn was being listened to by Aiden (Deanna's son) during a supply run. Ah yes... That supply run. The supply run that became the goriest and saddest supply run ever. I don't know what to say. Two deaths. Two gruesome deaths. And this is where me and my Walking Dead buddy had a debate. During the supply run, Aiden ended up shooting a walker in armor and accidentally shot the grenade, throwing him off and getting himself painfully stuck. Tara was also badly wounded, and Eugene said he'd take care of her. Meanwhile, Glenn & Noah wanted to save Aiden when they realised he was still alive. Well that ended badly. Nicholas ran away while trying to save Aiden. They were overrun, and Aiden had to be left behind to his very gruesome death. And then they got stuck within the revolving doors with walkers at both sides. Nicholas didn't listen to Glenn, and got Noah killed. His death was very disturbing and traumatic to Glenn. Now, according to my Walking Dead buddy, if they followed THE SYSTEM and left Aiden, would Noah still be alive? 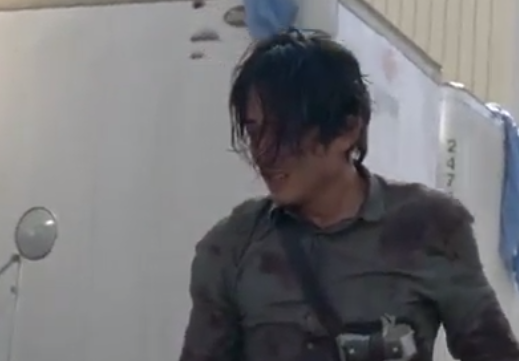 Or, do you think that it was still good to have Glenn's principle of not leaving people behind intact? Pros and cons. Maybe depending on the situation too. Nonetheless, that was a terrible highlight of the show. In the background, Rick & Carol discussed how Carol thought that Sam and Jessie were being beaten up by Pete (Jessie's husband). Carol mentioned how Rick would have to end up killing Pete to stop this. Carol, Carol, Carol... She scares me. It's difficult seeing how she behaves at the moment, but I know she has reasons. At least she got to figure out what was going on with Sam behind the scenes. And that Sam kid... He's really addicted to cookies, huh? All he ever wanted was a bunch of cookies. And a gun. 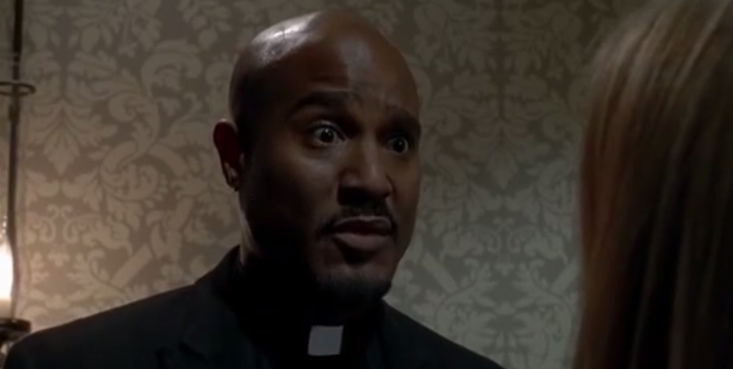 Father Gabriel had a moment at the beginning. Tearing the pages of the Bible up and just, you know, freaking out. He ended up telling Deanna that Rick and his group are not good people. He said that one day, they will put their lives ahead of others, as they have done things. I would have to agree with Gabriel in regards to some points, that Rick and his group may be more aggressive than Deanna's community. But that is how they have survived. AT SOME POINTS, uhm, Gabriel, you are the one hiding something. You are the one in disguise. And you want to eliminate the people who know your secret? Hohum. There is a mix of emotions, really. Because you feel bad for Deanna. 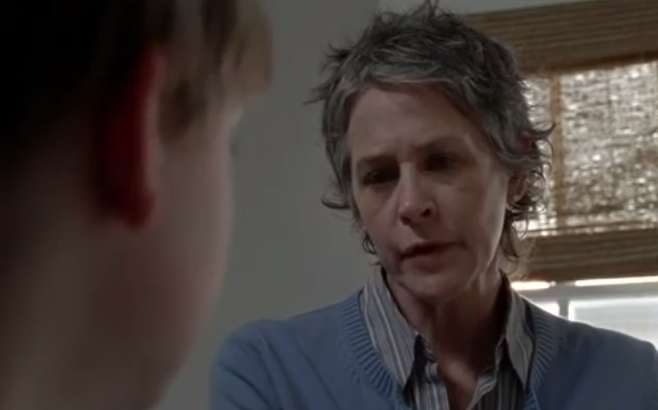 You feel bad that Carol has lied. You feel bad that Rick is slowly trying to take over them (and JESSIE), and that this community has been nothing but nice and sincere to them. And then you realise again, that is how Rick's group survived (and you also realise that Jessie is apparently just like Carol back then during Season 1, so, okay, fine, Rick, as long as you do the right thing though...). And then my Walking Dead buddy said that Deanna and her community also survived by not taking risks. They leave people behind. They don't risk more lives. That somehow, it was a good thing. But the sad part is, they weren't prepared for anything outside the walls. Well, anyway, Deanna took the risk now by letting Rick and his group in, and this is where we will see how Alexandria will keep up with its paradise status. Kudos to Eugene for fighting this time. Daryl is the most stable person I know. Rick's facial hair is back. Baby steps. Read The Walking Dead Season 5 Episode 12's Recap & Review by clicking here. 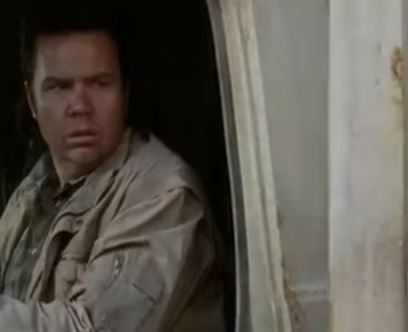 All screenshots from AMC The Walking Dead.